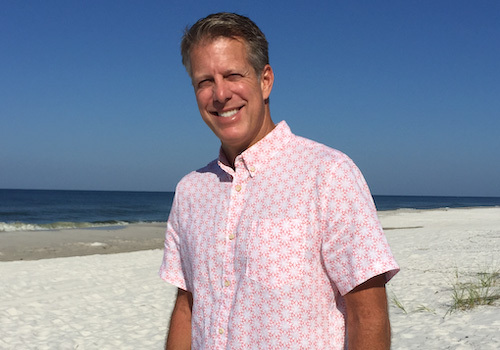 Hello, I'm Brian Reilly, founder of BeOurGuest Vacation Homes, based in Port St. Joe, on Florida’s beautiful Gulf Coast. Growing up in Michigan, I felt very fortunate to have grandparents that retired on the Gulf Coast of Florida which provided the perfect destination for our family vacations. In 2015, we built our own home on the Cape and began searching for a property management company. After several interviews, we didn't find the right fit for the standard of excellence that we were looking for. In 2016, I started managing my own property, then a friends home, a neighbors', and very quickly we were managing over a dozen homes. We launched the business as Gulf Sun Vacation Rentals but even before Hurricane Michael, a fresh new strategy was developing for a different way to do property management. In the Summer of 2018, we began the exciting process of rebranding our company from Gulf Sun to BeOurGuest Vacation Homes. Our new brand is meant to reflect fresh ideas for our business that will take property management to a whole new level. Our strategy includes adding creative guest services, providing over the top amenities and guest services, more flexibility for owners, and a proactive, targeted approach to marketing. We are Ready to Welcome Our Valued Guests! We've added staff and been on the ground every day since the Hurricane, building a network of talent and recovery assets. We are prepared and ready to welcome back returning guests and welcoming new guests to our thoughtfully prepared and tastefully decorated properties. Our staff is passionate about serving you! We are so excited to share the beauty of this unforgettable area of the Gulf Coast with you. Returning guests have been trying to keep this quiet, laid back area a secret for years. But Hurricane Michael brought an unexpected burst of national awareness to Port St Joe and Cape SanBlas and Indian Pass, that will not keep this part of the coast a secret for long.